The standard diameter of the actuator of the local control units are designed Ø30mm and requires a wall thickness between 1mm-6mm. The components for bottom mounting are mounted on the DIN rail TS35 or may be secured by bolts / screws directly on a mounting plate . The components for lid assembly are mounted in the bore provided with an easy- to-use clamp. The electrical contact is made with screw terminals for cables up to 2.5 mm². 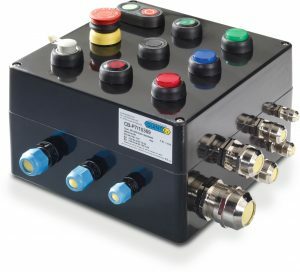 For use in hazardous areas, the components must be mounted in an ex approved enclosure. The different types of buttons and switching elements , as well as all lighting elements can be combined. Here, the predetermined distance from each other and the maximum load of the case is to be observed. 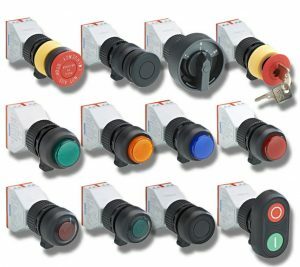 The signal elements ( indicators and illuminated pushbuttons) are available in 5 colours. Everything needed for mounting accessories, and various label plates, which are labeled on request, completes the entire product portfolio.